HealthHarmonie has been awarded a contract to run a Community Dermatology service in Herts Valley, covering the Dacorum and Watford & Three Rivers localities. If you’re a patient looking for a clinic click in Dacourm or Watford click here. HealthHarmonie have been successfully awarded the a Minor Hand Surgery contract for Stoke on Trent and North Staffordshire. We are now working hard to mobilise this service. 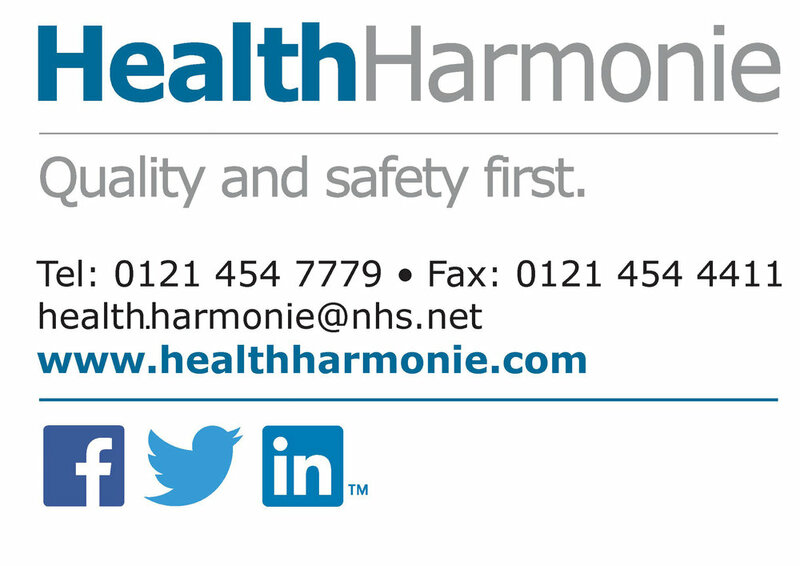 HealthHarmonie currently have a number of exciting job opportunities for both clinical and administrative staff. Check out our Careers page for more information! HealthHarmonie held the Macmillan coffee morning on Friday 29th September in our head office. We raised £118 for the charity and had a great day! Well done to all the staff that baked cakes for the day! HealthHarmonie has been successfully added to the Community Ultrasound AQP framework for Manchester. The service will cover 11 CCGs across the area and will be promoting high quality care, closer to home. HealthHarmonie are now providing Non-Obstetric Ultrasound Services within Mid-Essex CCG and North West Surrey CCG. HealthHarmonie has successfully been added to the any Qualified Provider framework for Community Dermatology services in Leeds. We will be going live and accepting referrals within the next few months. HealthHarmonie has successfully been awarded the West Berkshire Integrated Community and Surgical Ophthalmology Service. Work has now started on mobilising the service due to start later this year. HealthHarmonie will be attending the Health Investor Awards 2017 on 1st June as a finalist for the Diagnostics Provider of the Year award. We have worked hard over the past 12 months to develop our services and provide efficiencies within our diagnostic care. This will be our second year in a row as a finalist in the awards.